It's our last day here at DIY Boston, and I can think of no better send off than catching up with our Head Crafter and Glitter Wrangler, Melissa Massello. 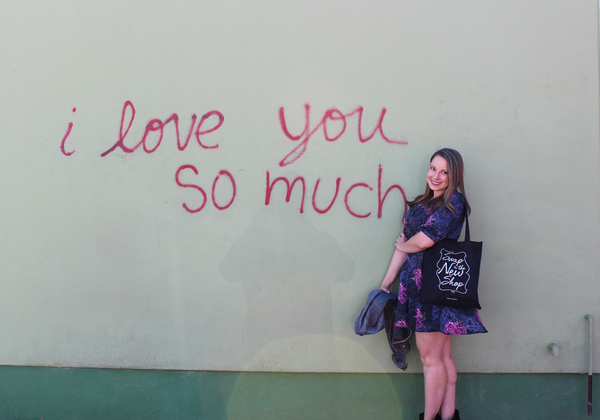 Like everything she does, this blog has been a whirlwind of fun and a labor of love, and I'm glad to have been along for the ride. 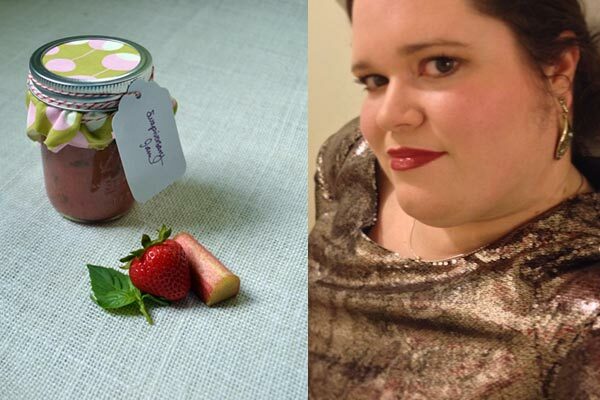 So what's our very own Mod Podge Maven have on the horizon? 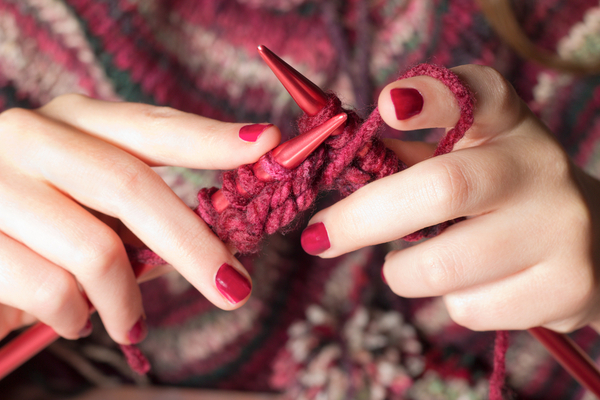 For the scoop on nesting, where she gets her best ideas, and cool new projects, read on. All DIY projects are a journey, an adventure, teaching the maker as much about themselves as they do about a certain skill or technique. And though some are never truly complete, they do reach a point where you can step back with pride and say, "My work is done here." Almost two years to the day since I first pitched DIY Boston to Boston.com, as a way to shine a spotlight on all the amazing makers and growing number of manufacturers right here in The Hub, our blog here is coming to an end tomorrow. So I decided to turn the mic on Tara Bellucci, my glue-gun-toting partner in crafts, for a chance to tell her own inspiring story as a big-time doer, maker, designer, writer & cook. Read on to hear behind-the-scenes stories from some of Tara's most popular posts, as well as where to follow her maker adventures and DIY projects elsewhere in the future. In this post-Recession age of upcycling and Pinterest projects, Mason jars might just be the new duct tape: a versatile base easily transformed into everything from coffee mugs to bar shakers to chandeliers. All around town — notably at Diesel Cafe and Bloc 11 in Somerville, Darwin's and Puritan & Co. in Cambridge — Mason jar lights feature prominently in hip interior decor. In her new book Mason Jar Crafts (Ulysses Press) , author Lauren Elise Donaldson shares more than 30 innovative projects using this heirloom kitchen essential, with more than 150 step-by-step photos — and she shared with DIY Boston one easy and whimsical spring lighting project to update any room of your home: how to make a Mason jar night light. 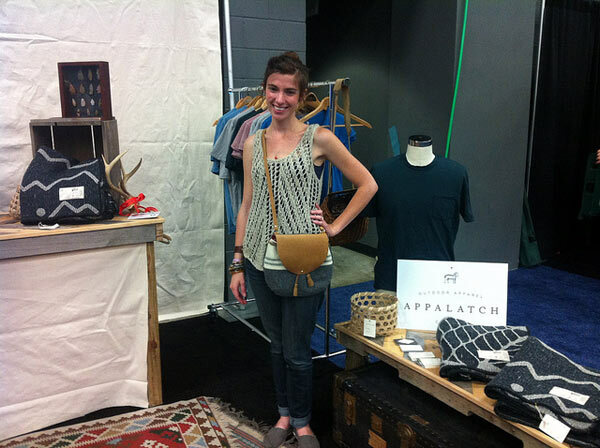 Growing up on a small farm and attending a Quaker school in Cumberland, Rhode Island instilled in Grace Gouin a deep love for all things organic and handcrafted — something she carried with her to design school at Skidmore in upstate New York through the launch of her ethical clothing line, Appalatch, in the mountains of Asheville, North Carolina last year. Sharing the values of sustainable garment production and the importance of bringing 100% USA-made manufacturing back to the American economy, we became fast friends with Grace five minutes after meeting her at SXSW — so of course we had to ask her to sit down for our Maker Moment series. Chances are, you have a lot of books. I know I do. They're mostly stacked predictably on bookshelves, but I recently decided to get a little creative. 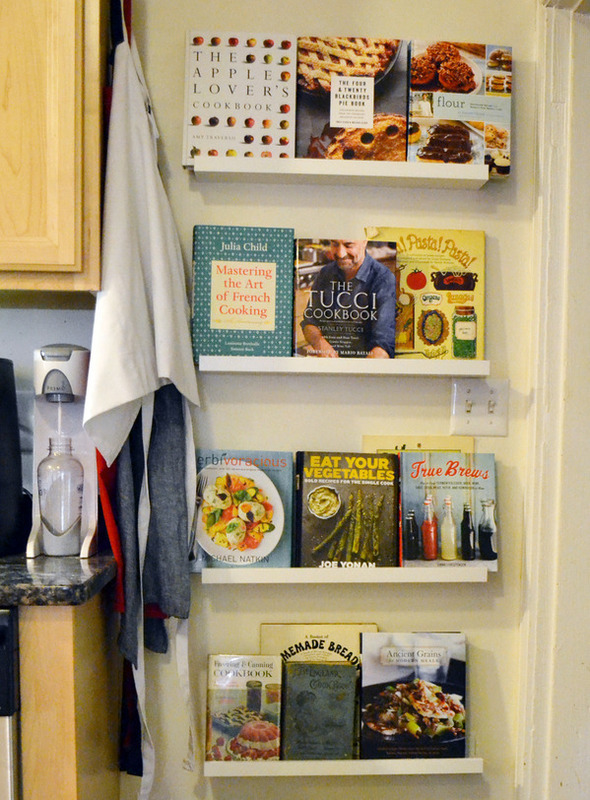 So, some of my cookbooks are now displayed front-facing, which encourages actually picking them up, and even (gasp!) cooking from them more often. They say everyone's Irish on St. Patrick's Day, and that's definitely the case here in Boston. Here's an Emerald Isle classic that's perfect for a St. Patty's Day brunch, but portable enough to take with you to the parade (because there should be something in your stomach besides Guinness). 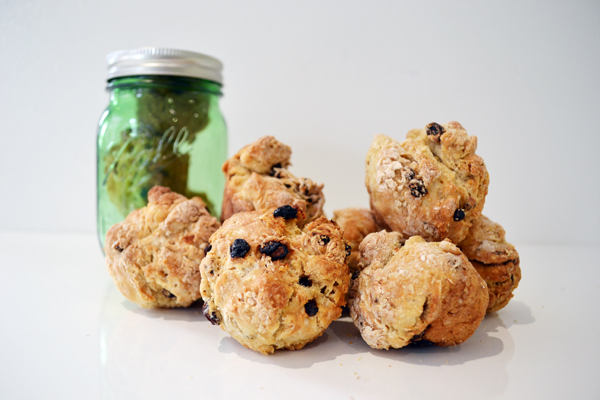 From batter to baked, these 2-bite Irish soda bread muffins will be ready to be slathered in butter in under an hour! 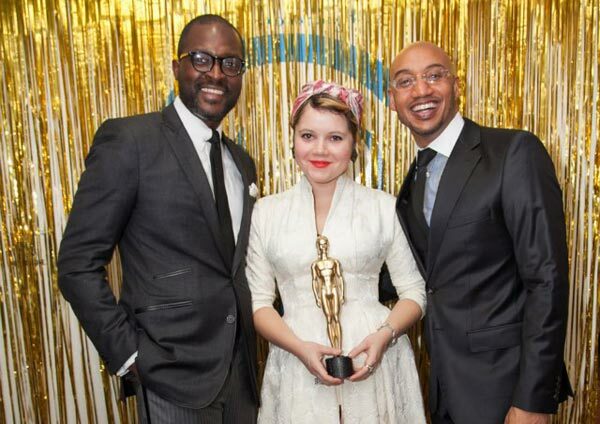 Unless you're dolling up in your red carpet best for the annual Ellie Fund party this Sunday night, chances are you'll be watching the Oscars at home in front of the television with a few of your nearest and dearest. That doesn't mean that you can't still channel some of the glitz & glamour of Old Hollywood with these seven DIY projects we made for last year's #OscarUp party, which instantly transformed our South End co-working space into (well, nearly into) the Chinese Theatre. Add some thrifted black tie duds, et voila! Pure silver screen magic. 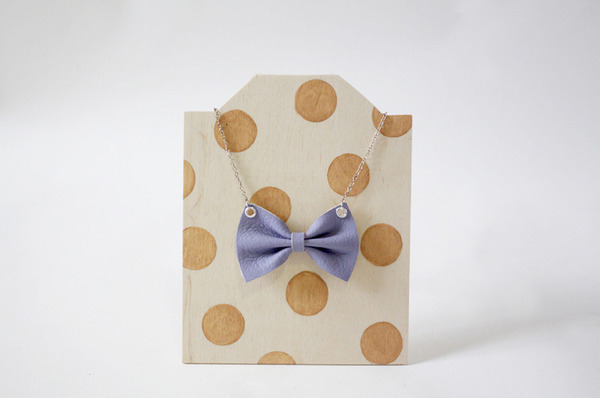 Maker Moment: Crafty mommy-to-be Erika Buckley of Yay for Handmade! With a new house and a new baby on the way, Erika Buckley found herself excited for the future, yet worried how parenthood would affect her sense of self. "It seemed like all the things had I kept putting off (writing more, trying to make a career in something more creative...) were suddenly in danger of evaporating before they ever had a chance to start," she says. 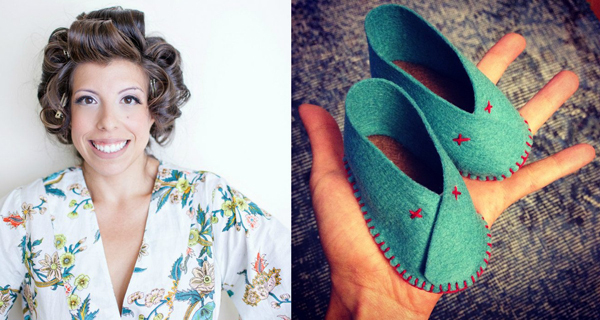 But after a realization that many of the bloggers she follows and loves are moms, she decided to start Yay For Handmade! while awaiting the arrival of Baby Boy Buckley in June. The 8th Annual National Soup Swap Day was January 26, but even if you missed out on that tasty tradition, you can reap the benefits. The groundhog says it'll still be soup weather for some time, so we tapped the experts at America's Test Kitchen for their top soup-making tips. 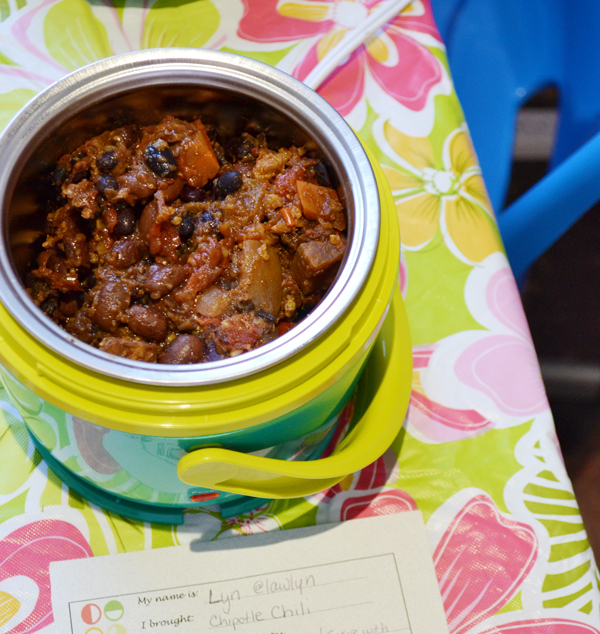 Plus, a totally swappable recipe for vegan chili from the Boston Food Swap will warm you up, inside and out. If, like the rest of the world, you were captivated by the tear-jerking transformational story of Arthur Boorman, the disabled ex-paratrooper and Gulf War veteran who used self-taught yoga to learn to walk again, you're going to love the story of Yoga by Numbers — a teach yourself yoga mat designed right here in Boston and currently crowd-funding on Kickstarter. Photos (clockwise from top left): One Charming Party; Bow & Drape; New Dress a Day; Savannah Smiled. When I was 14, I had the distinct honor of representing my country on the first ever Team USA for synchronized skating, traveling to Helsinki, Finland with Lexington's Ice Mates & Haydenettes, where we took home the international gold. There's nothing quite like standing center ice with your teammates, medal draped around your neck, watching your country's flag raised while the arena fills with your national anthem. I still get goosebumps & leaky eyes whenever I think about that moment, the pinnacle achievement of my athletic career, especially when I watch it happen for others. Which is probably why, in the (cough, cough) 20 years since, I'm so passionate about hosting epic Olympics viewing parties. My friends know that, for the 17 days from opening to closing ceremonies, I will be glued to the TV or my laptop or both, cheering on every major and minor sport, rocking my best red, white & blue getups and recruiting others to do the same with me. 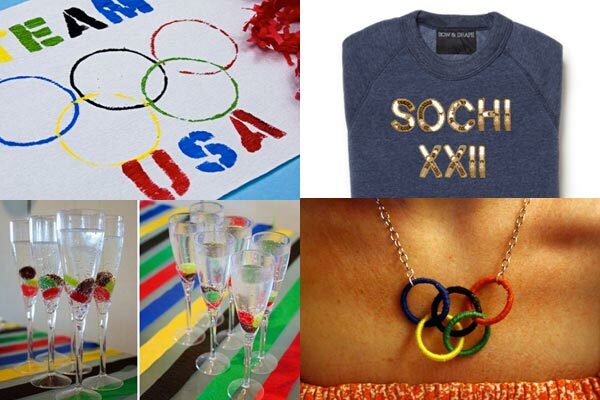 If you've also got Olympic fever, here are nine awesome DIY projects that feel authentic to the timeless athlete experience & that you can easily make at home in time for Opening Ceremonies tonight. Want your creation to go down in history with products like Cuppow? 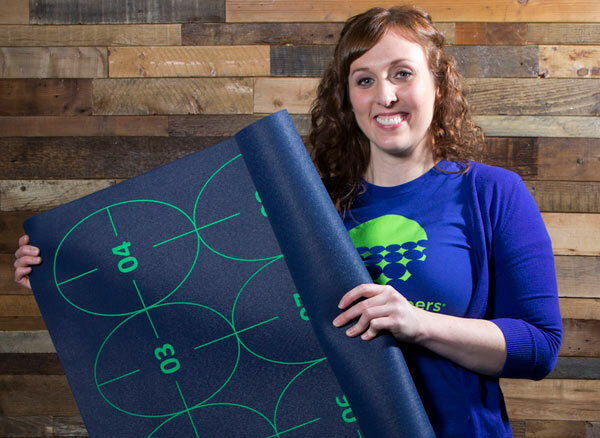 The Grommet wants to help you launch your product. They're looking for hacks and problem solvers that have household name potential. Could yours be next? Frozen to the core? Sick to death of winter? 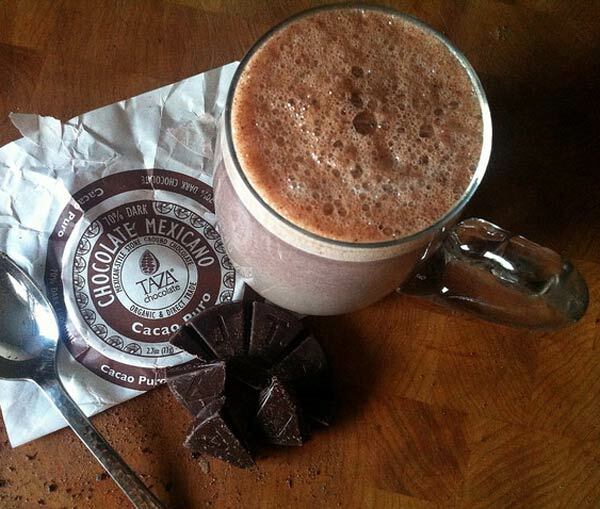 Warm up from snow shoveling with this super easy, from-scratch recipe for authentic Mexican hot cocoa using Somerville's handmade source: Taza stone ground chocolate. Hallmark usually gets all the credit when it comes to Valentine's Day, but — rather than focus on commercialization — local lifestyle blogger Kate Bowler of DomestiKated Life instead celebrates all things handmade: the giddiness we all experienced as schoolchildren, trading homemade cards in paper desk-side mailboxes; the sweetness of spontaneous romance and friendship and all things pink and heart-shaped. So, when we found out that Kate was co-hosting a "Girls Night In" DIY workshop this Saturday with west elm Fenway, we just had to sit down with her to pick her brain for this week's Maker Moment. 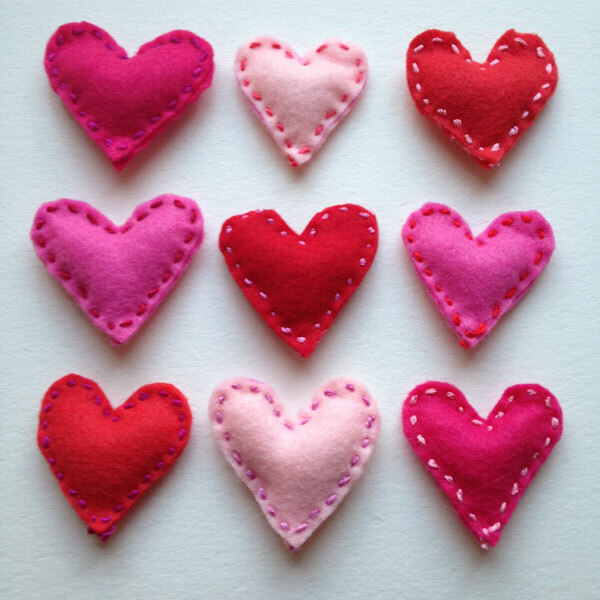 Read on to find out how Kate earned her glitter-glued stripes in all things crafting, as well as how to grab a spot at her event — where she’ll be teaching the sewing technique for created stitched felt hearts for pins, sachets, etc. (shown above) while lucky students nosh on complimentary Valentine’s Day cupcakes from Boston bakery Sweet. There may be a big game this week (and for that, we got you covered), but don't let that put you off your game with your guy or gal. Valentine's Day is a week from Friday, and there's still plenty of time to make your special someone something special. So put down those grocery store roses and drugstore chocolates and get creative, no glitter required. 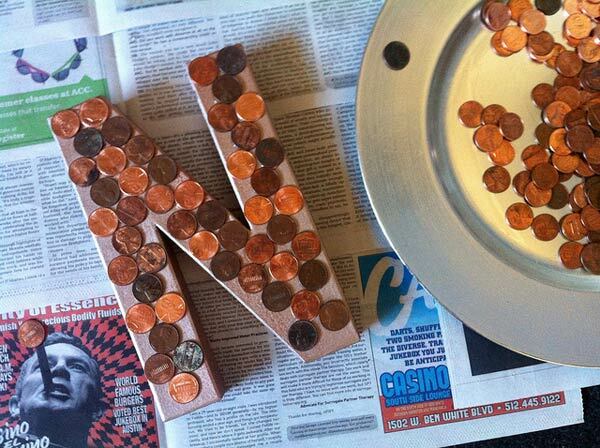 In these penny-pinching times, cleverly using whatever you have on hand for project materials has become more popular than ever — including using actual pennies as the unorthodox base for everything from kitchen countertops to subway tile-style bathroom floors, DIY jewelry to tap shoes. As of 2011, it costs the U.S. Mint more than 2.41 cents to produce each 1 cent penny thanks to the rising cost of metals used to make pennies (such as copper and zinc), creating an interesting crafting conundrum: Keep the pennies in circulation, thereby decreasing the need to mint more coins (to the tune of 4.3 billion pennies at a cost of $100 million dollars per year), or use them as a project supply more valuable for the metal they contain than as currency? If you choose the latter, here are my 9 favorite penny projects — with dozens more on my Pinterest board: Pennies for Thought. East coast chefs seem to be having a love affair with all things Southern at the moment, and one dish has popped up repeatedly on the Instagram feeds of some notable Boston culinary tastemakers: Frito Pie. 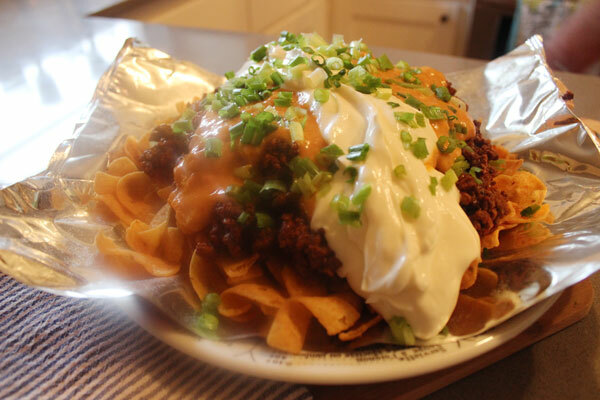 Kind of like the "white trash sundae" of appetizers, Frito Pie is a beloved Southwestern tradition dating back to the founding of the Frito-Lay company in 1932 — some say the dish may even have been dreamed up by Fritos first lady, Mrs. Elmer Doolin, herself — that combines corn chips, chili, cheese (or queso), sour cream, and onions with all the down-home decadence appropriate for a playoff party. With the Patriots set to face off against the Denver Broncos on Sunday, it's high time we reach across the 50-yard line to see how the other half celebrates game day and embrace this crowd-pleasing Southwestern snack. Whether you pile high a platter or set up a buffet, here's everything you need to make Frito Pie or "walking tacos" at home. 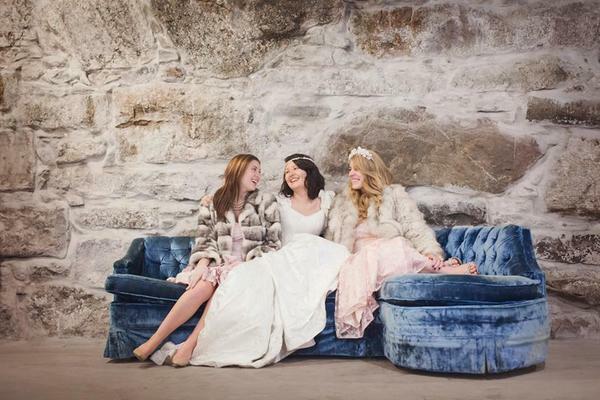 Crompton Collective's Vintage Wedding Weekend is January 18 & 19. Tons of awesome events come across our desks each week. Make It Boston is how we'll share our favorite ways to get out, get crafty, and make things in and around Boston. Love is in the air! With our Facebook feeds still reeling from the holiday engagements and Valentine's Day less than a month away, here are ways to get planning, whether it's a wedding or a V-Day to remember. Do you have a resolution to learn something new? 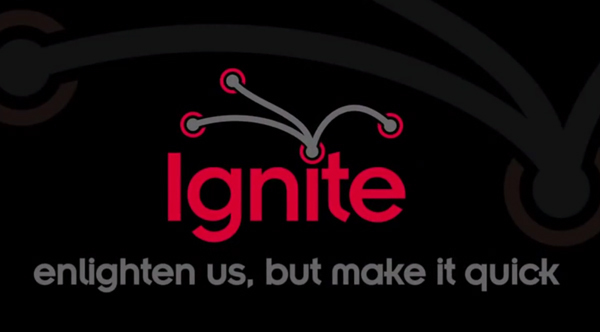 Grab your tickets for the 4th Annual Ignite Craft Boston, sponsored by the Common Cod Fiber Guild. From Downton Abbey costume contests to Downton Abbey quilt-alongs, Downton Abbey wine to Downton Abbey nail polishes, no BBC family has inspired more channeling — and more theme parties at which to showcase it — than the Granthams and the Crawleys. 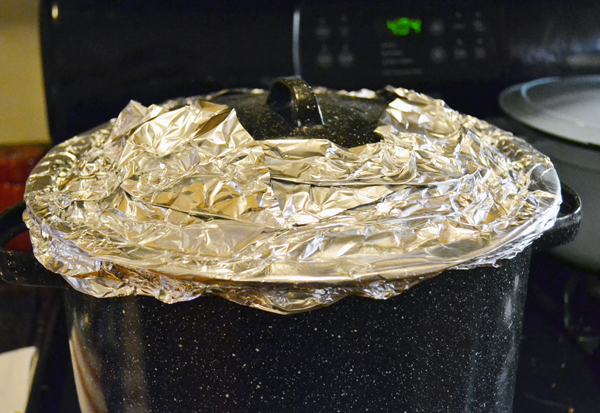 One of the easiest ways to personify the world's favorite fictional aristocrats and their household service is to host a viewing party for Sunday's fourth season premiere complete with authentic Downton cuisine, now made easier thanks to Emily Ansara Baines and her Unofficial Downton Abbey Cookbook (Adams Media). Coupled with your own ideas for thrift store or handmade period costumes and Downton-inspired serveware, The Unofficial Downton Abbey Cookbook provides historically accurate dish pairings, etiquette lessons & show trivia from everyone's favorite costume drama, like these two cocktail-appropriate recipes. Download free printable Downton Abbey Bingo (Paste) and Downton Abbey paper dolls (Vulture) and you have the makings for a truly Dowager Countess-approved affair. 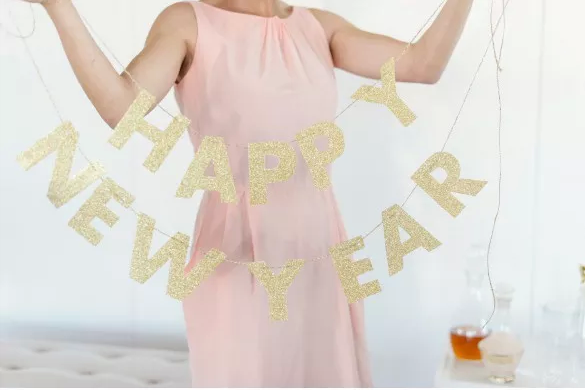 Even if you dropped the ball for the ball drop, you still have time to throw together a fantastic New Year's Eve celebration. 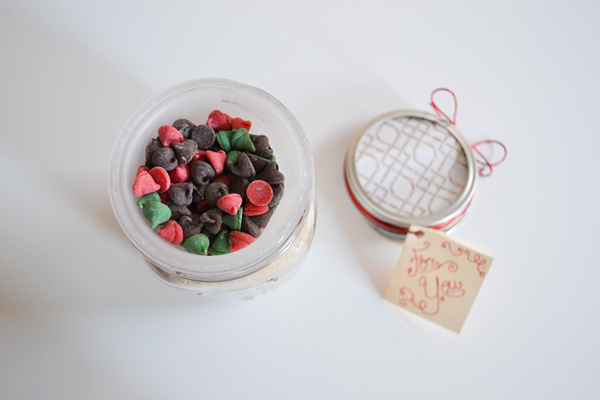 We scoured Pinterest for the tastiest, trendiest, sparkliest DIY decor, food, and cocktails for a fabulous end to 2013 and a festive hello to 2014! It's Christmas Eve and all your presents are purchased, but suddenly you realize nothing is wrapped. 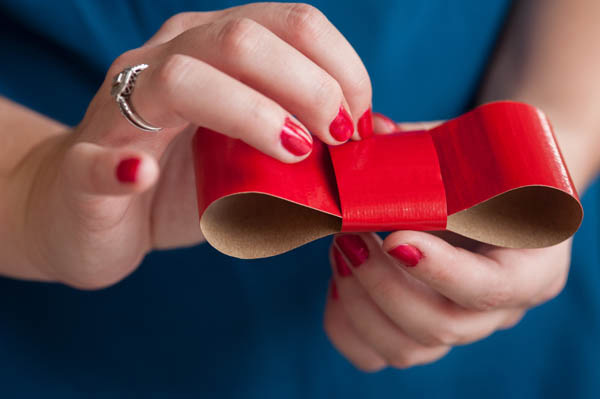 No reason to run to the store when these 20 elegantly modern and eco-friendly gift wrap ideas cleverly use paper grocery bags (aka kraft paper) and other household items in festive designs, spreading holiday cheer without spending a cent — or leaving the house!